In spite of improvements in motor vehicle safety in recent years, motor vehicle crashes remain a major source of morbidity and mortality in the United States. Motor vehicle-related deaths and injuries also result in substantial economic and societal costs related to medical care and lost productivity. A new NCHS report describes the rates and characteristics of emergency department (ED) visits for motor vehicle traffic injuries during 2010–2011 based on nationally representative data from the National Hospital Ambulatory Medical Care Survey. 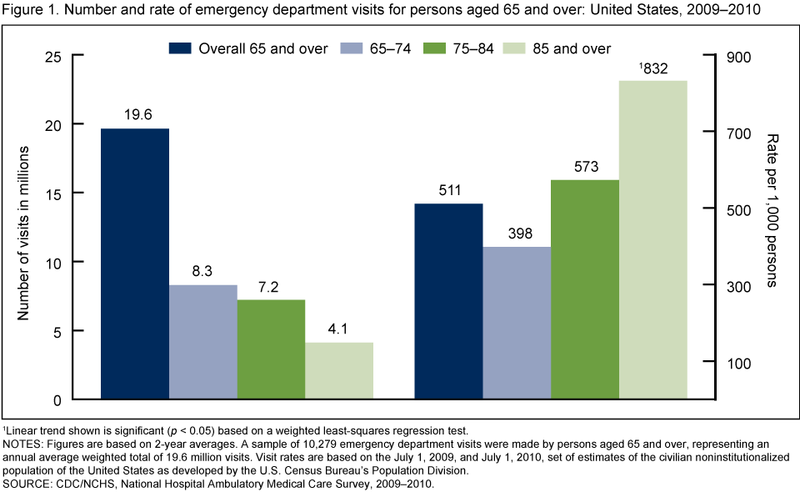 In 2010–2011, the emergency department (ED) visit rate for motor vehicle traffic injuries was highest among persons aged 16–24 years. The rates declined with age after 16–24, with rates for those aged 0–15 similar to those 65 and over. The overall ED visit rate for motor vehicle traffic injuries was higher among non-Hispanic black persons compared with non-Hispanic white and Hispanic persons. Imaging services were ordered or provided at 70.2% of ED visits for motor vehicle traffic injuries, which was higher than for other injury-related ED visits (55.9%). About one-half of ED visits for motor vehicle traffic injuries had a primary diagnosis of sprains and strains of the neck and back, contusion with intact skin surface, or spinal disorders. Injury is the leading cause of death and a major source of morbidity among children and adolescents in the United States. 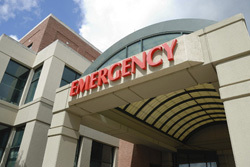 The emergency department (ED) plays an important role in the care of injuries, and these visits often represent the initial contact with a provider for the injury. A new report from NCHS examines nationally representative data on injury-related ED visits by children and adolescents aged 18 years and under in the United States during 2009–2010. 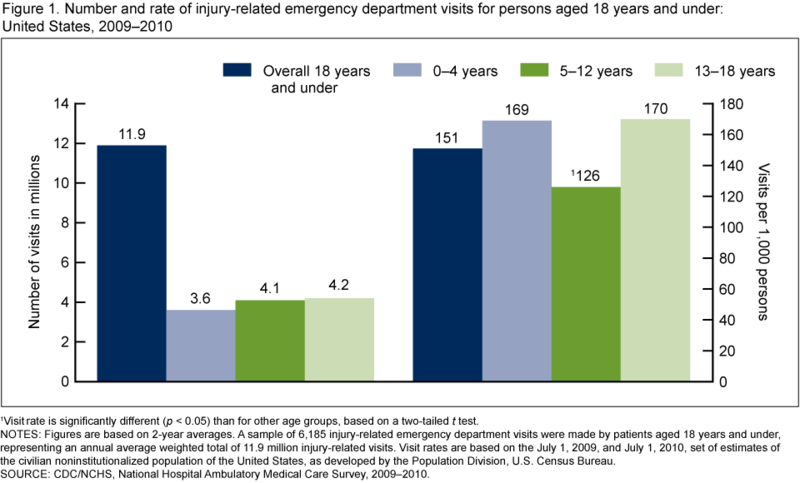 Injury-related ED visit rates were also compared for the age groups 0–4, 5–12, and 13–18 years, as these correspond to the preschool, school-age, and teen life periods respectively. 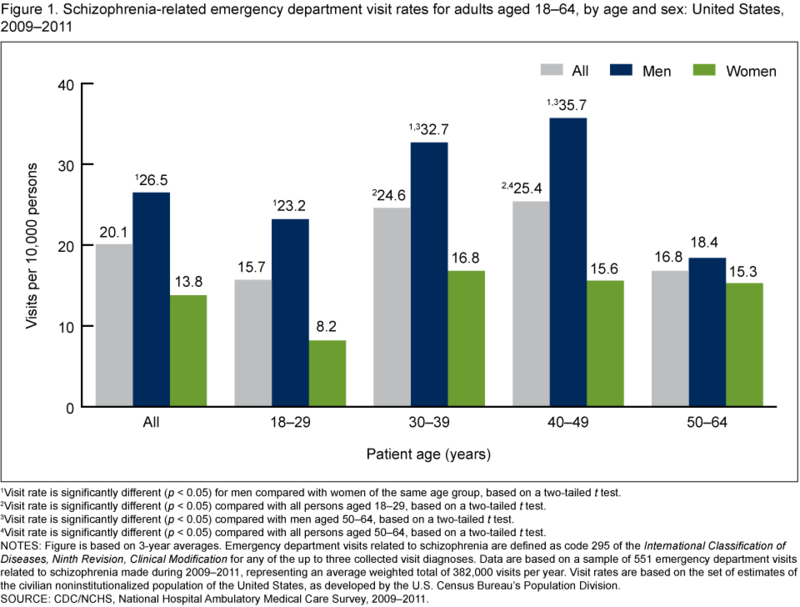 In 2009–2010, an annual average of 11.9 million injury-related emergency department (ED) visits were made by children and adolescents aged 18 years and under in the United States. The injury-related ED visit rate was 151 per 1,000 persons aged 18 years and under, and rates were higher for males than for females for all age groups (0–4 years, 5–12 years, and 13–18 years). The injury-related ED visit rates among persons aged 5–12 years and 13–18 years were higher for non-Hispanic black persons than for other race and ethnicity groups. Leading causes of injury-related ED visits among both males and females included falls and striking against or being struck unintentionally by objects or persons. Visit rates were higher for males than for females for both of these causes. You are currently browsing the archives for the emergency department category.